Villa Margaux is a villa for 6 people with a beautiful private pool. The villa is within walking distance (800 meters) from the center of Carcès. Villa Margaux is a detached villa for up to 6 people with a beautiful private pool. The villa is situated in a former olive grove within walking distance (800 meters) from the center of Carcès. This beautiful recently renovated villa has 3 bedrooms and 2 bathrooms. The new swimming pool is surrounded with comfortable sun loungers which offer views over the beautiful surroundings. The villa has 2 terraces where you can enjoy a drink and / or meal. The house is spacious, has air conditioning in the living room is cozy. The open kitchen is very spacious and modern, well equipped to make a delicious Provencal meal. The large dining table and a spacious living room with fireplace complete the house. The bedrooms are also spacious. 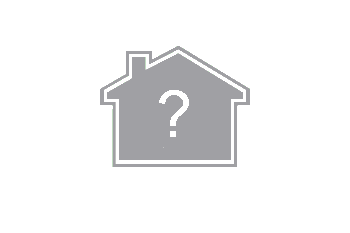 Two bedrooms have a double bed and one bedroom has 2 single beds. There is also a mezzanine with a small double bed. The villa is located in the municipality of Carcès, a typical medieval wine village (with former Chateau) and has about 3,000 inhabitants. Carcès is located in the green heart of Provence, in the middle of the vineyards and olive groves. The village is located on the river l'Argens where you can make beautiful kayak trips. Near the villa, (within walking distance) you will find the famous waterfalls of Caramy and Lake Carcès, a paradise for fishermen. The picturesque surroundings and the beautiful walking and cycling routes lure innumerable nature lovers and sports enthusiasts every year. From Carcès you cycle in half an hour to the tourist Cotignac or the beautifully quiet castle village of Entrecasteaux. The well-known Lorgues with its large Provencal market is a 20-minute drive away. Beach and sea can be reached within 50 minutes. 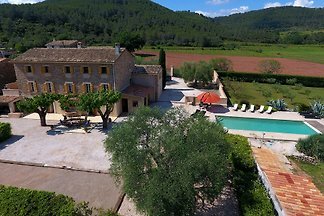 The village Carcès is located about 60 km east of Aix-en-Provence, about 60 km north of St. Tropez, and about 110 km west of Nice. The villa is within walking distance (approx. 800 m) of the medieval Provencal village of Carcès, where you will find various bakeries, a butcher's shop, well-stocked supermarkets, cosy bars and atmospheric restaurants. The villa is located in the municipality of Carcès, a typical medieval wine village (with former castle), and has about 3,000 inhabitants. Carcès is situated in the green heart of Provence, surrounded by vineyards and olive groves. The village is situated on the river Argens, where you can go kayaking. Near the villa (within walking distance) you will find the famous waterfalls of Caramy and Lake Carcès, a paradise for anglers. The picturesque surroundings and the beautiful hiking and cycling paths attract countless nature lovers and sports enthusiasts every year. From Carcès you cycle in half an hour to the touristic Cotignac or the beautiful quiet castle village Entrecasteaux. The famous Lorgues with its large Provencal market is 20 minutes away by car. Beach and sea are reachable within 50 minutes. The village of Carcès is located about 60 km east of Aix-en-Provence, about 60 km north of St. Tropez and about 110 km west of Nice. More activities can be found in the description at the top of our website. We moved to Southern France in 2005 and love French life with good food, a glass of wine and nice weather! In 2007, we started letting 7 holiday homes in Provence and are now gradually expanding to more than 100 holiday homes. Besides the hard work we love to enjoy the beautiful beaches of the Cote d'Azur. Wonderful from Provence is the beautiful surroundings, where the beach, the ski area, the Gorge du Verdon and cities like Nice and Cannes are reachable within an hour! In short, a wonderful region for living or celebrating holidays!